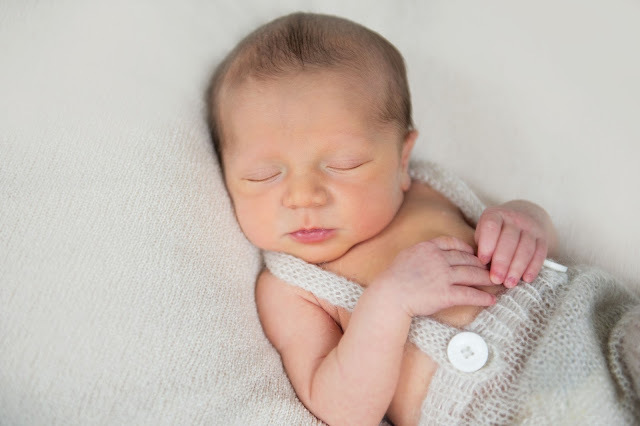 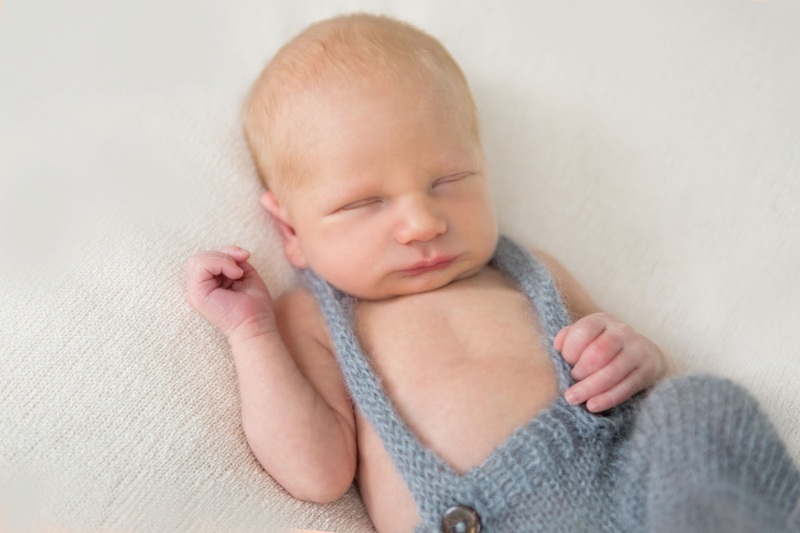 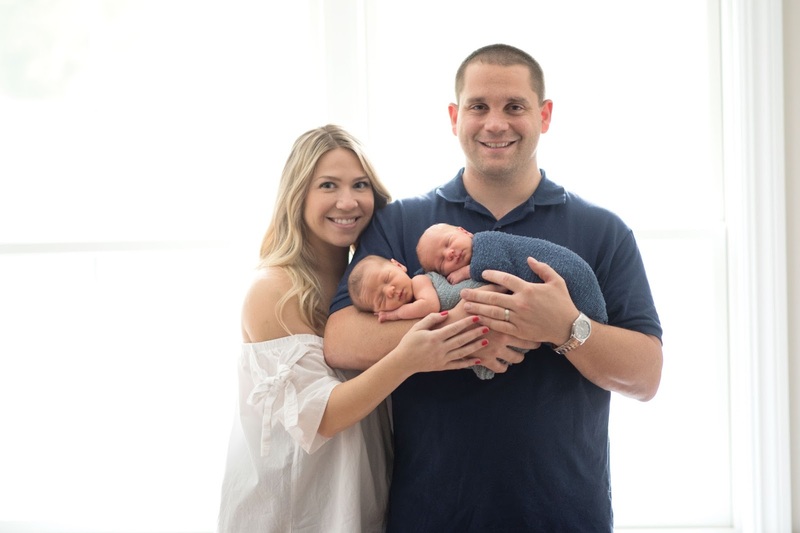 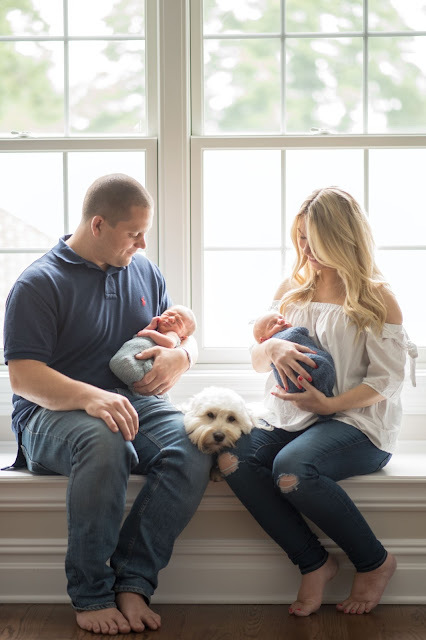 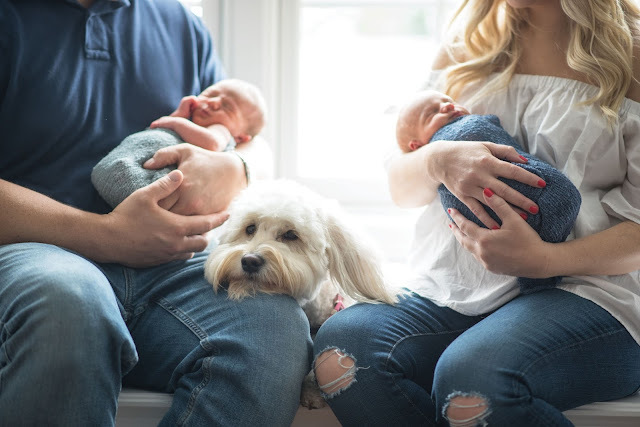 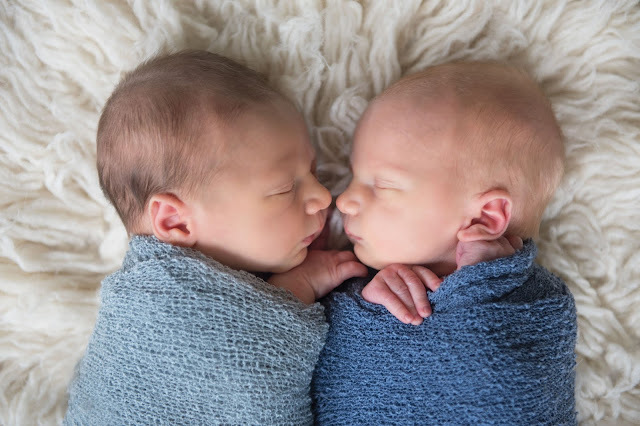 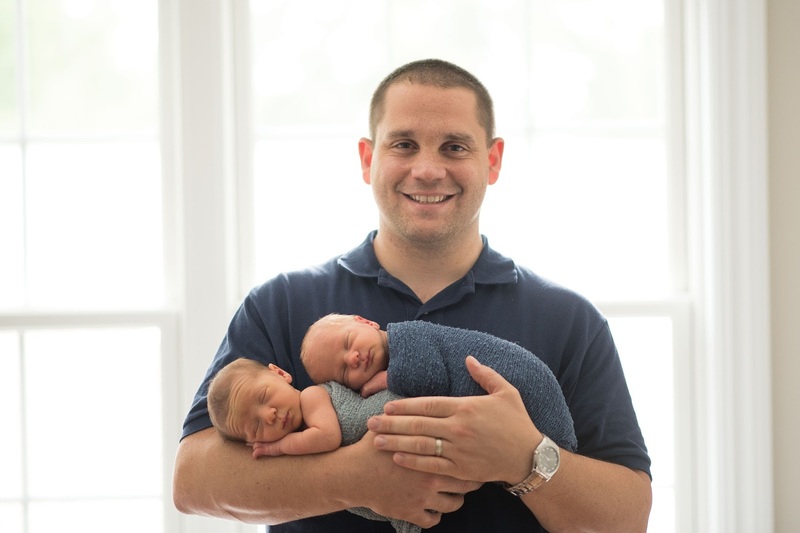 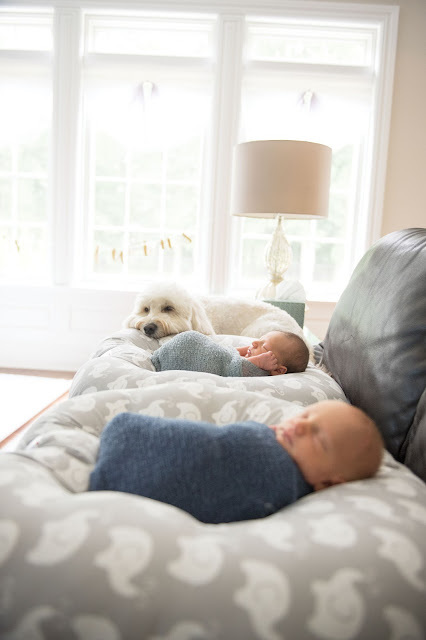 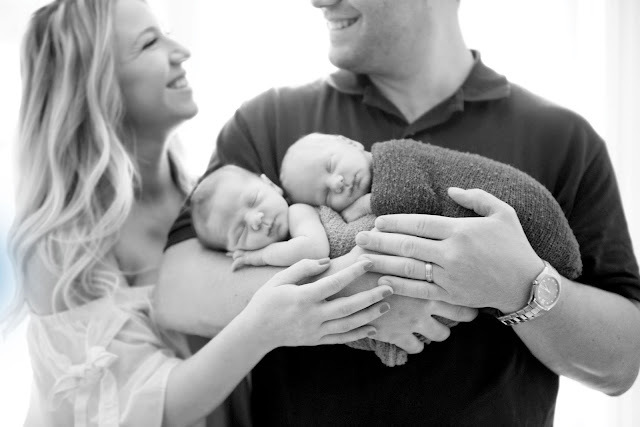 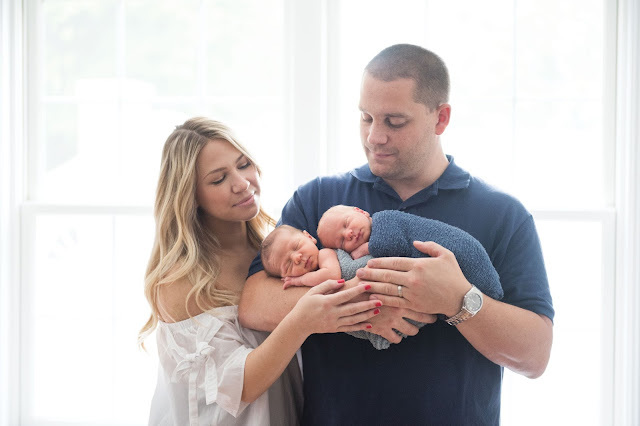 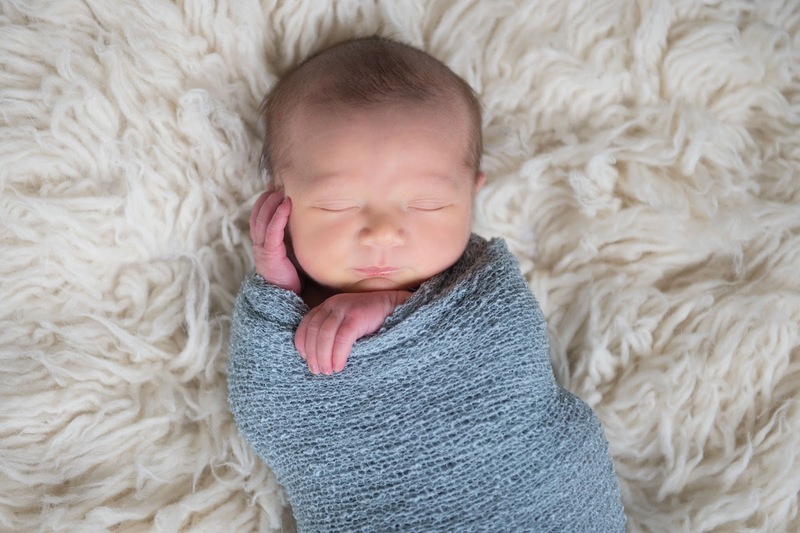 Kara and Chris just moved from the city to New Jersey and welcomed Dylan and Mason, fraternal boy twins into the world. 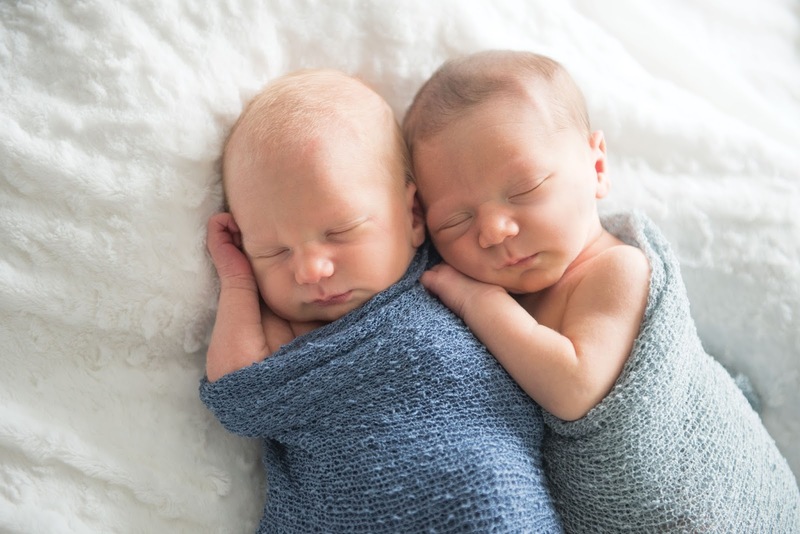 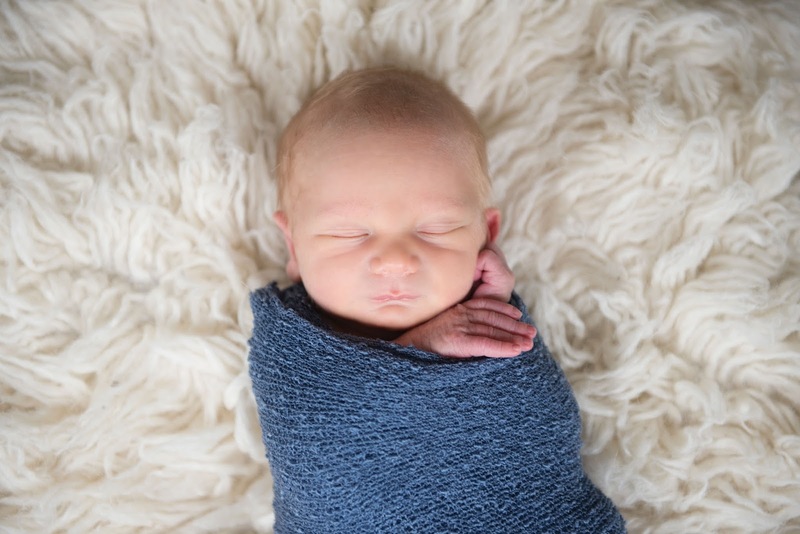 Dylan and Mason were an absolute joy to photograph and slept for four hours straight! 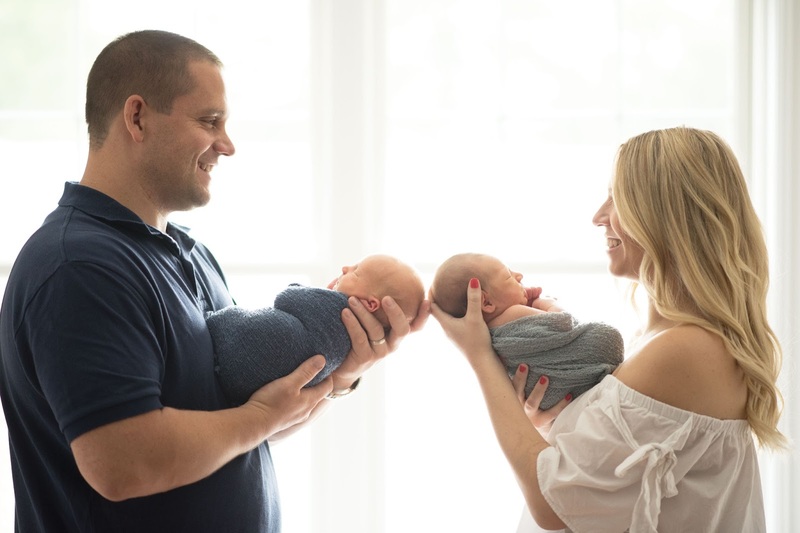 From the moments I was first in contact with Kara, she discussed how important it was to get individual shots of the boys because she knows that they will be grouped together for most of their lives, and she felt it was important. I thought that was a truly wonderful point and we did all of the different combinations including each parent with each son. 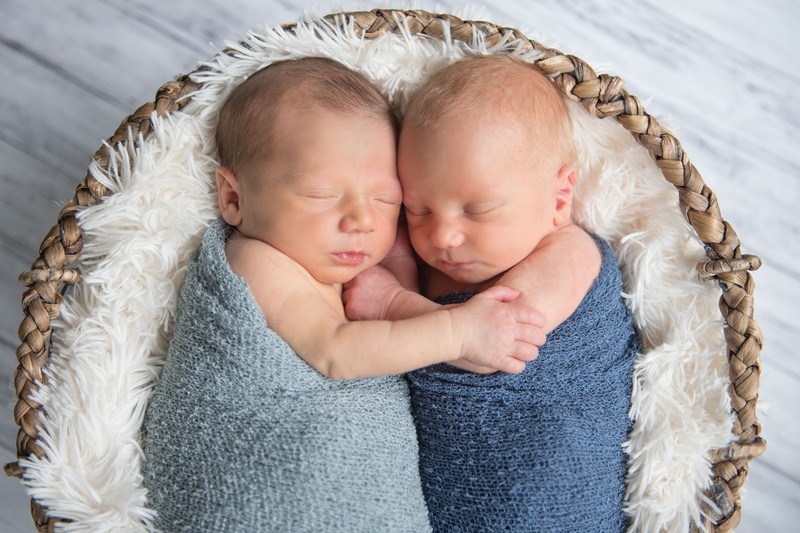 Dylan and Mason were precious snuggling and stacked on one another in dad's arms. 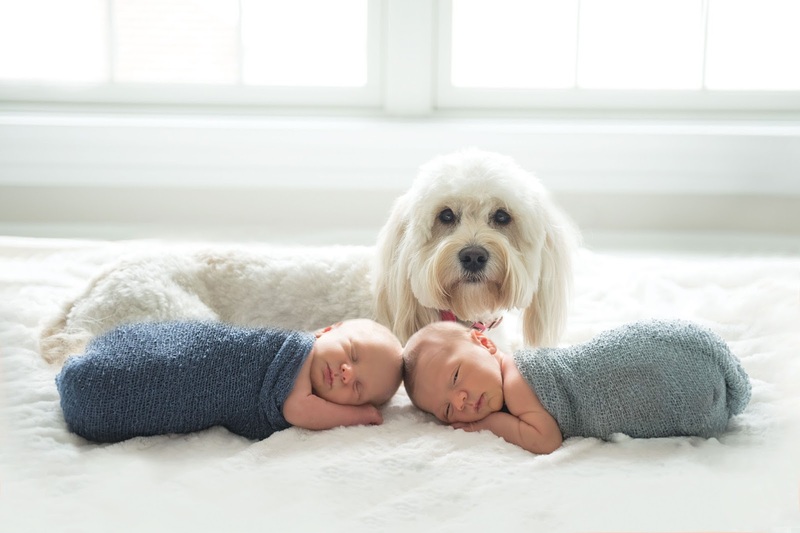 The family Labradoodle was super protective over these two and always wanted to remain close by. 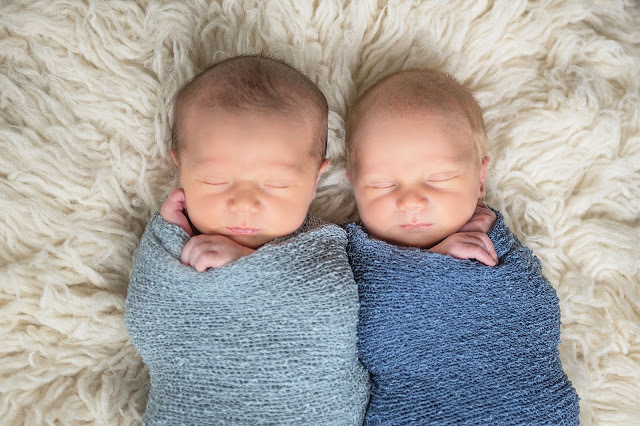 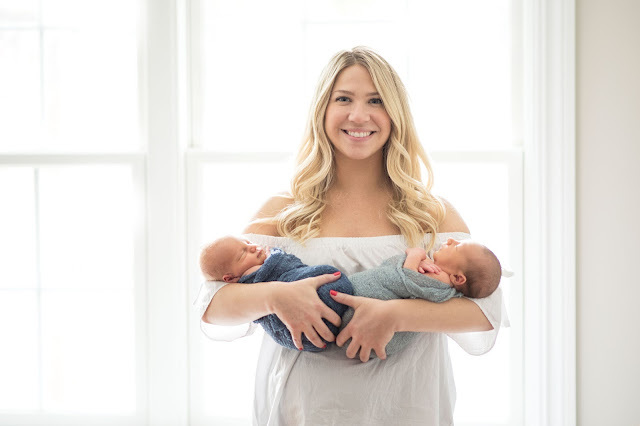 Congratulations on your two beautiful, healthy boys!